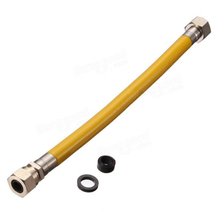 A metal hose is a flexible metal line element. 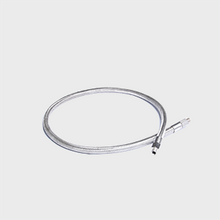 There are two basic types of metal hose that differ in their design and application: stripwound hoses and corrugated hoses. 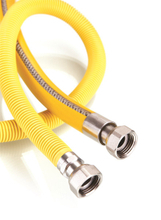 Stripwound hoses have a high mechanical strength (e.g. tensile strength and tear strength). Corrugated hoses can withstand high pressure and provide maximum leak tightness on account of their material. Corrugated hoses also exhibit corrosion resistance and pressure tightness under the most extreme conditions, such as in aggressive seawater or at extreme temperatures such as found in space or when transporting cooled liquid gas. They are particularly well suited for conveying hot and cold substances. With a history of more than one hundred years, metal hoses have given rise to other flexible line elements, including metal expansion joints, metal bellows and semi-flexible and flexible metal pipes. In Germany alone, there are about 3500 patents relating to metal hoses.